Welcome to the Golden Dorado River Cruiser, the one and only mother ship fishing program in all Argentina. With world-class lodging in its fully upgraded liveaboard, adapted to the modern angler, looking to find comfort, while accessing the most exclusive and off the beaten paths of other boats and anglers. This amazing program features all the ingredients to make a trip of a lifetime, chasing the hard fighting golden Dorado, as well as other fantastic game fish in the huge upper delta of the Paraná River system, one of the biggest in the world. Another important characteristic of our program is the short distance from Buenos Aires City and Rosario City. If you are in Rosario, you can get to the Marina in 45 minutes. And, if you are coming from Buenos Aires, the Marina is only 2.5 hours away! 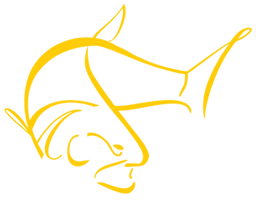 Come experience Golden Dorado River Cruiser, the utmost angling experience in the most exclusive set up!